The client, Richard Allen is a former Special Forces Sergeant, having extensive experience in restaurant management, and has worked as a restaurant/hotel consultant with more than 30 years of professional experience in helping companies become more profitable. The client wanted to develop a smart, sophisticated, and affordable point of sale (POS) Software for meeting the demands of small restaurants, as well as, national chains. The client was seeking a solution that helps to raise productivity of restaurants, saves escalating labor costs, and brings down the expense of sales and marketing with inbuilt marketing tools. The client intended to reach out to restaurant owners to help offset the increasing cost of labor as a result of the rising minimum wage in the U.S.
Pulse Solutions helped design a modern point of sale software that utilizes Apple’s iPad and iPhone technologies and cloud data storage using the Asp.net 4.0, MSSQL Server 2012, and SOAP Web services technologies. We proposed to design the POS system that will not only take the hassles out of restaurant key processes, but will also prove to be an affordable solution for Restaurant, Bar, Coffee shop, or any similar business by taking full advantage of Apple’s iPad and iPhone technologies. It will provide both small and big businesses take advantage of real solutions and enhance their productivity. We designed a simple and cost-effective solution that helped to decrease operational costs and brought better customer satisfaction, helping to increase the overall performance of the restaurants. Our team developed a blueprint in accordance with the requirements of the client, and integrated rich features to simplify the complex processes. Easy scheduling: Letting servers place orders directly from the iPhone or iPad. Fees processing: Allowing to swipe credit card right at the customer’s table and obtaining the customer’s signature, tableside. The client intended itek POS to provide a level playing field to smaller and emerging enterprises to help them compete with the big names in the industry. The POS system helped restaurants to stay ahead in the competition without incurring huge software or implementation costs. 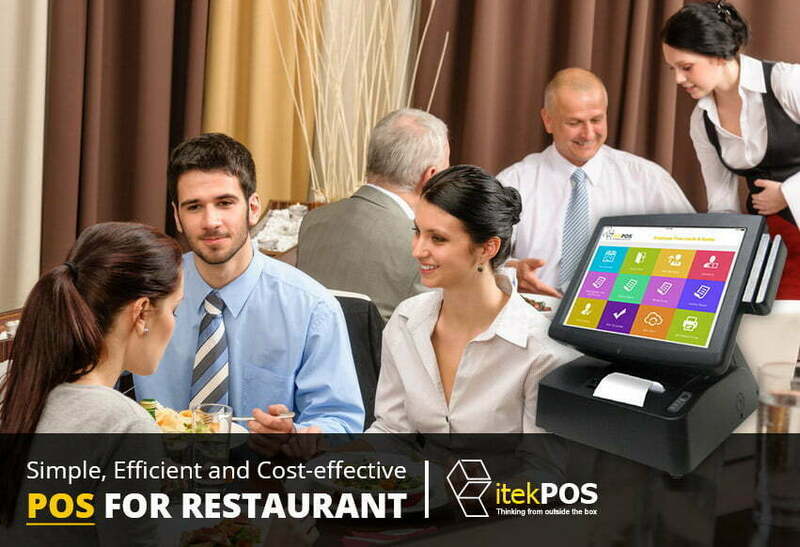 In a highly competitive restaurant business, itek POS helped restaurant owners decrease their finance, marketing, and operating costs, and ensure that their margins stay where they should be. Read more at www.itekpos.com.